My fall & winter wardrobe is made up of basically black ( I have this pet peeve where I cannot wear colored shoes with black tights ). I came to this realization when I did an edit of my wardrobe (in my defense it makes sense black absorbs & traps heat, it keeps you warm). However in the last couple of seasons, we have seen the unlikely colors take over fall and winter this season I am excited about red, However, hot pink is also having a moment. Finally, if you were a secret color lover and you don’t want to reserve that side of you only spring and summer bring it on invest in an all colored look like a pink Suit, suits are all the rage now and a colored one screams bold. 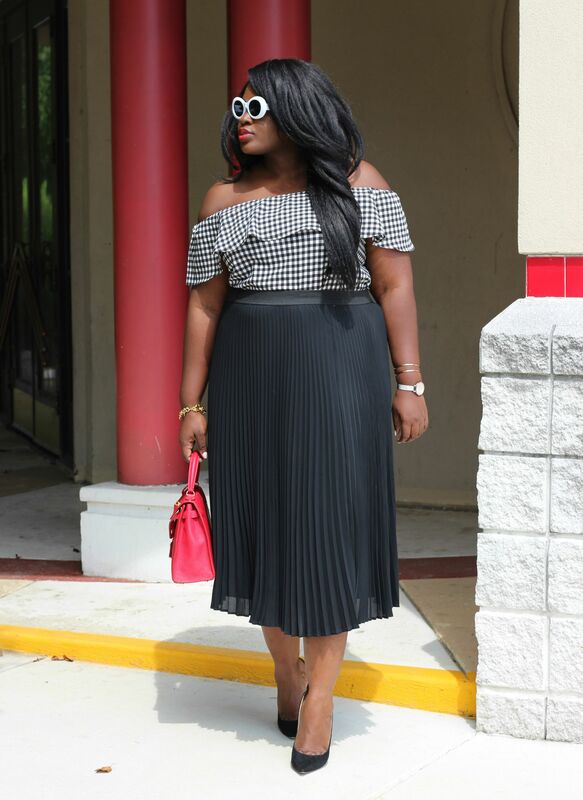 For my look, I paired a pleated midi skirt (on sale) from Nordstrom with an off shoulder gingham top, pumps from Jimmy Choo , sunglasses, and a structured tote. 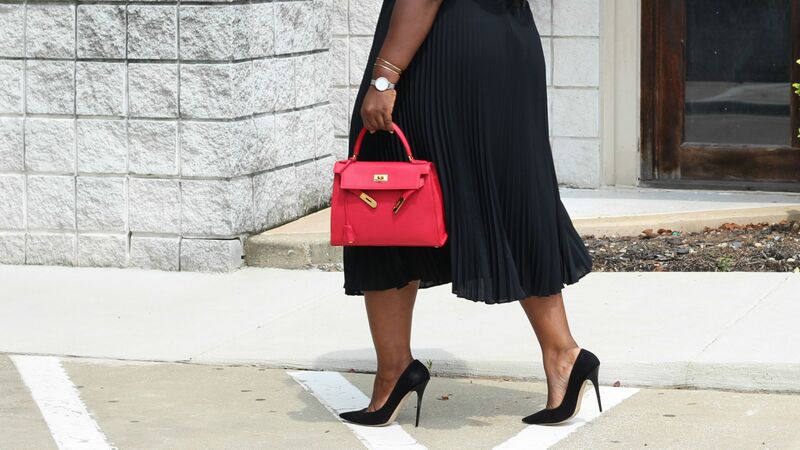 The key to not looking frumpy in a midi skirt (fall Must have) especially if you are petite is to pair it with a fitted top and sky-high heels. 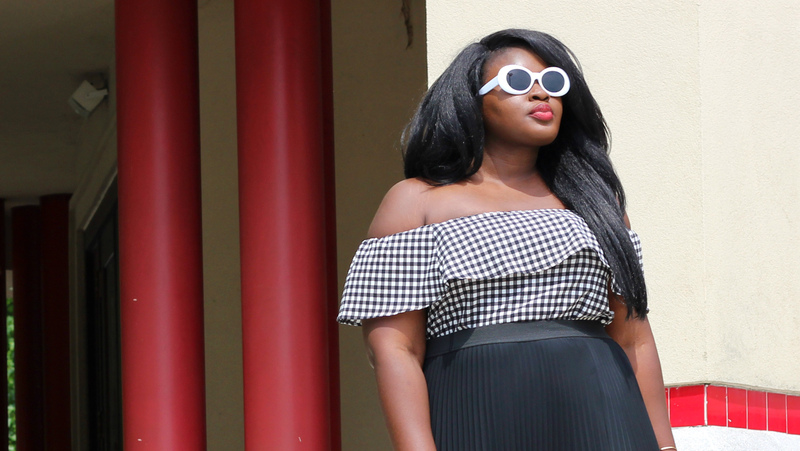 For more of my chic musings follow me on Instagram and be sure to sign up for our Newsletter for exclusive content and upcoming happenings also follow this blog on Bloglovin so you never miss a post. I love these tips! I tend to try to keep a neutral wardrobe as well. That way when I’m getting dressed during those dark winter hours and am not quite awake, no matter what I throw on, it will match. 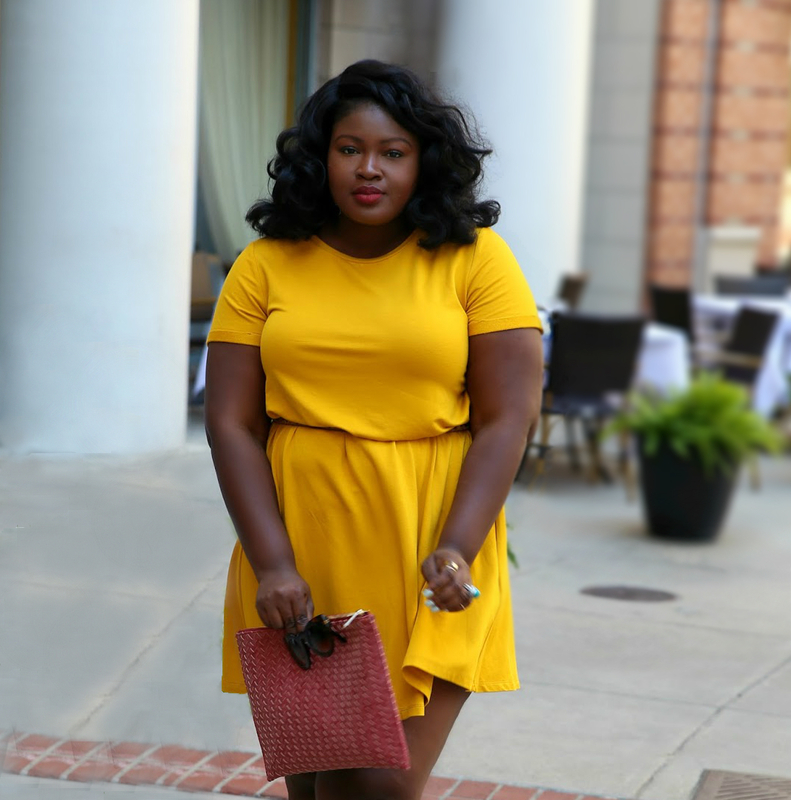 But I love adding color in my beauty and accessories! All those neutrals lay the perfect canvas for a hot pink lip. P.S. 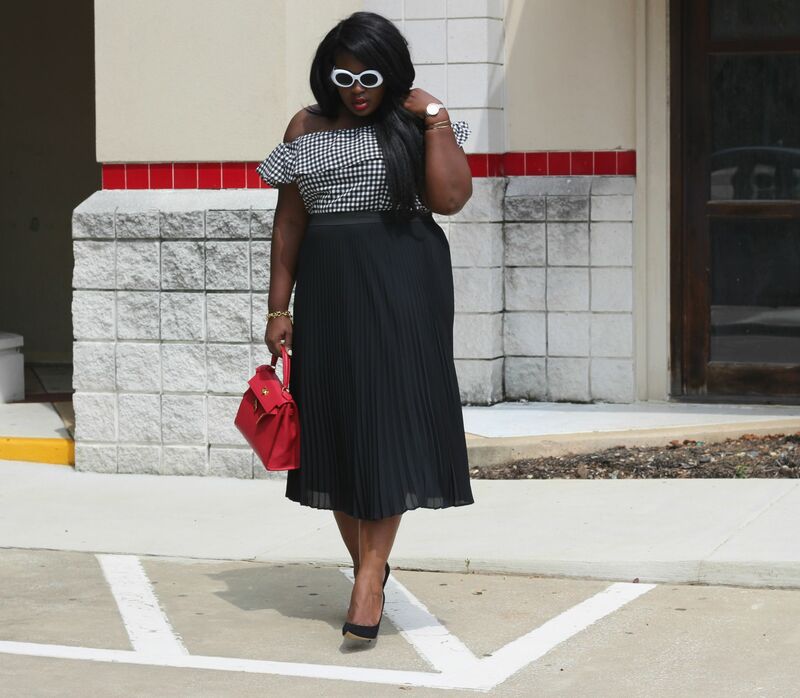 this outfit is super swoon worthy. I’m obsessed! That top is gorgeous. I love the whole look!